Do you have an account with Axis Bank? Have you activated internet banking services? Almost all banks in the public, as well as private banking sector of India, have digitalized their banking service to ensure customer's convenience. Internet banking services allow easy access to bank account and you can easily make transactions and remain updated with your account. In the private banking sector, the banks activate Internet Banking services while opening the account. If you skipped activating the services, you can start it anytime. You need not visit the bank once again to activate online banking services. You need to follow the easy steps to register and activate Axis Bank Net Banking Online. Step 1: Access the official website of Axis bank for internet banking https://retail.axisbank.co.in. Click on 'First time user? Register' button featured on the bottom of the login page of the site. 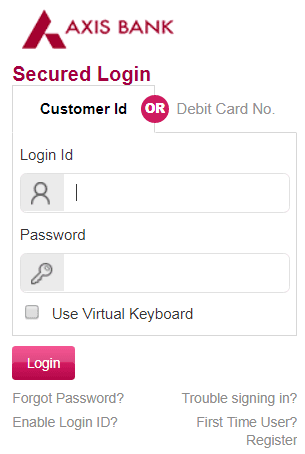 Step 2: You will get directed to Axis Bank Online password generation page where you need to enter the Login ID. Your Login ID is the Customer ID which you can get by sending SMS or through Passbook. 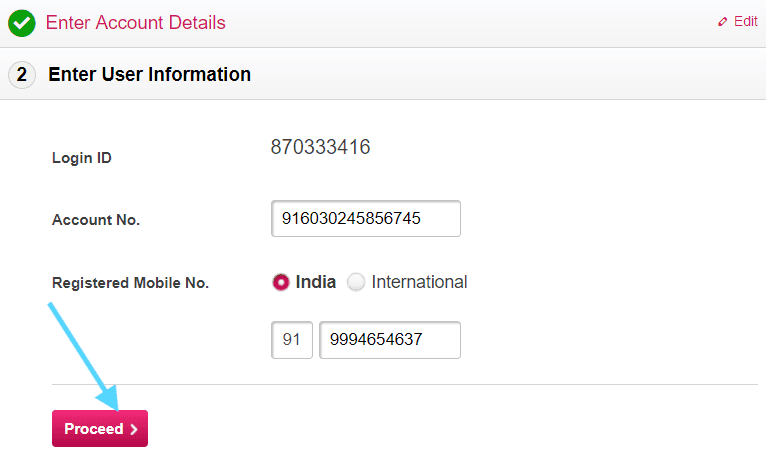 Step 3: Enter the account number and registered mobile number in the provided boxes. Click on proceed button. 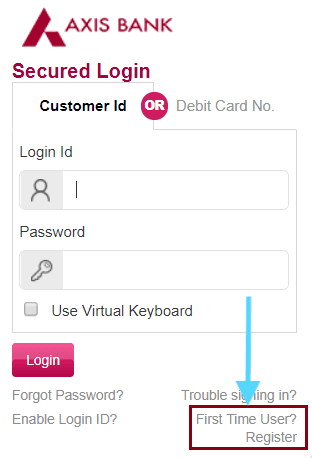 Step 4: Enter Debit card details on the new page, i.e. Debit Card No, ATM Pin number, and Expiry Date. Tick mark to accept the Terms and Conditions and click on Proceed button. Step 5: A new page will open on the web browser. Enter the New Login Password and re-enter to confirm. 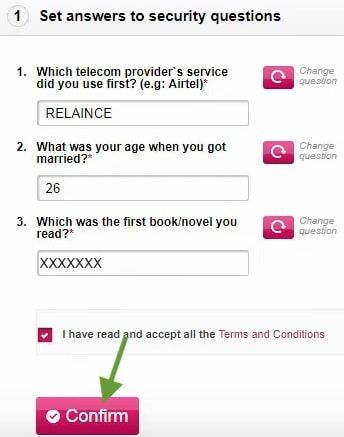 You will receive an OTP on your registered mobile number, which you need to enter in the provided box. Click on Submit button. The screen will display the notification about successful registration for Net Banking. 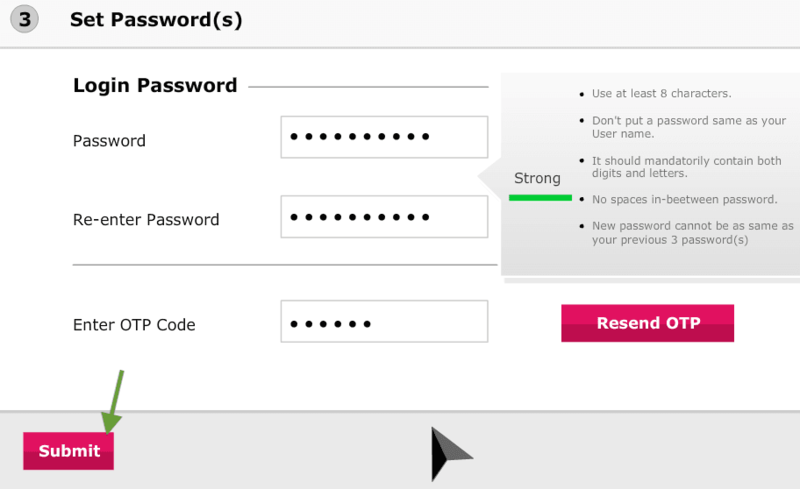 Step 6: Click on Login Page link and enter the login ID and the password you reset generated in the process and click on Login. Step 7: Before accessing your account online, you require answering Security Questions. You can select the questions and enter the answers as suitable. 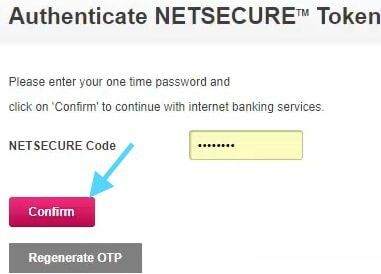 Step 8: You need to enter the Netsecure code that you received on your mobile number. 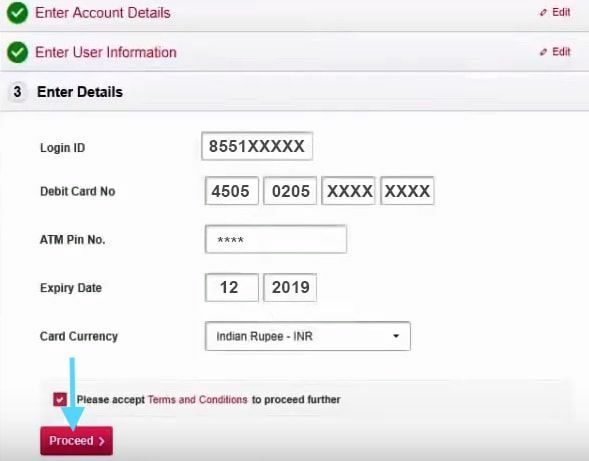 Click on confirm button to activate Axis net banking fully. Now you can easily access your account online without any worries. You need to follow the steps without any mistake to activate the Axis internet banking services by self. You don't need any professional assistance. You don't even need to visit the branch and waste your time. It is just a matter of seconds to activate Axis Net banking services for your account. What is UPI Pin in Paytm?